This little hybrid (Campanula portenschlagiana x poscharskyana) makes a fine trough, rock garden or pot specimen. If your patient, it may reward you by tumbling over a rock wall. When it first blooms in mid spring the purple flowers profusely cover the plant. For the impatient gardener, one of its parents, either C. portenshlagiana or C. poscharskyana would probably be a bit more vigorous at cascading over a rock wall. I’m not sure its news, but — like many herbaceous spring blooming perennials — shearing or deadheading the spent blooms after the initial spring flush often guarantees more blooms later in the summer (though usually not as dense and floriferous as the first round). 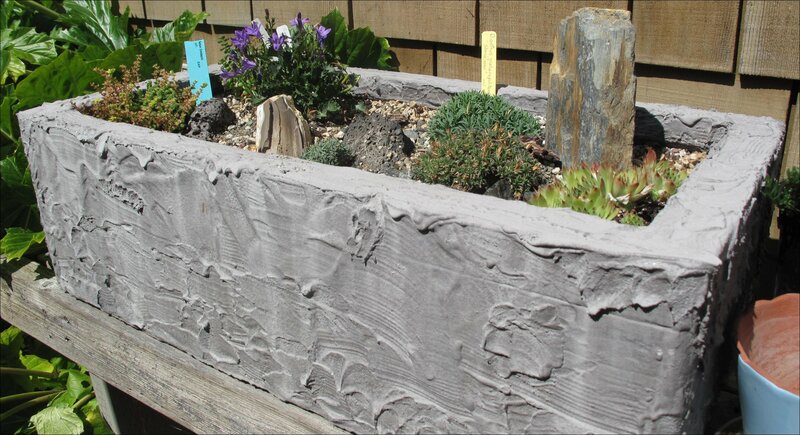 Here in Puget Sound near Seattle, this trough, containing Sedums, the Birch Hybrid and alpine Dianthus required daily or even twice daily watering during the hot, unusually rain-free month of July. Unlike the Dianthus or the Sedums — which don’t seem to rebloom — the Campanula ‘Birch Hybrid started re-blooming about a week ago. My little specimen, from Mt Tahoma Nursery in Graham WA, probably was propagated by division, and at most is a two year old division. 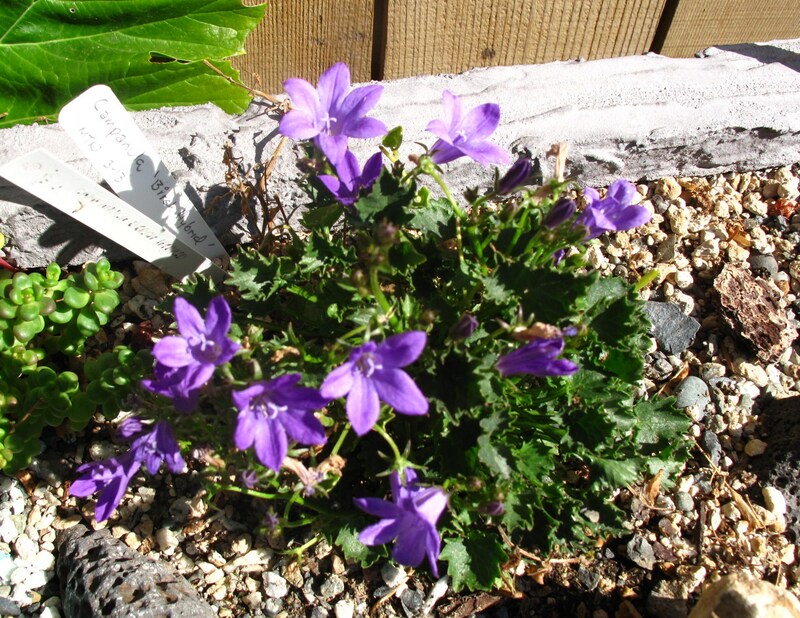 This entry was posted in Alpines, Plant Picks and tagged Campanula 'Birch Hybrid', Campanula portenschlagiana, Campanula poscharskyana, trough plants by Bart Arenson. Bookmark the permalink.